There is only one constant in real estate, service wins. I am passionate about providing a level of service that stands out from the competition. Exceptional service doesn't necessarily mean working more hours, it means leveraging technology to work smarter and having the right people to support you. There is no better feeling than helping a family find their perfect home. 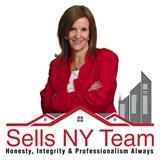 If you are passionate about truly serving our clients, contact us at SellsNY@kw.com. Contact me to learn more about ANY opportunity at KW!